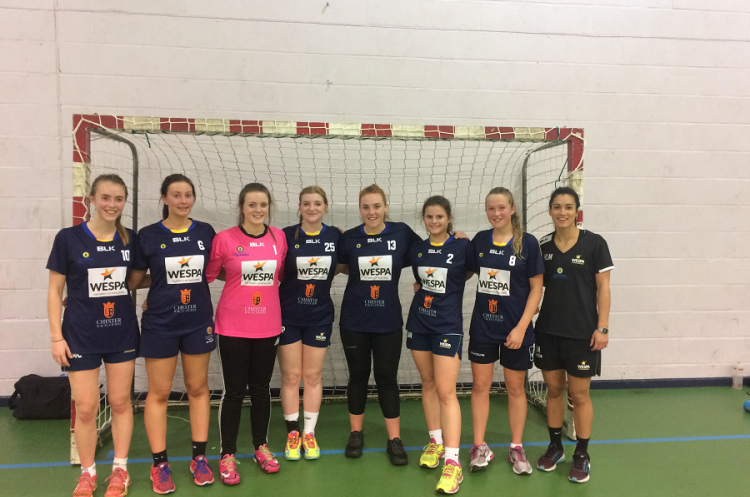 Olympia Cannock will play Warrington Wolves in the girls’ England Handball under-18 Cup. In the boys’ competition Carshalton Titans and NEM Hawks will play at the Copper Box Arena in a repeat of last year’s final. Olympia Cannock booked their place in the final with a 22-9 victory over Poole Phoenix 22-9. The match was closer than the scoreline suggests. Phoenix led by two goals at the break with Kayleigh Pingarelli top scoring. However, the second half saw Athalia ibanga and Olivia Gonsalves make their mark as Cannock took charge. An experienced Warrington team beat newcomers Olympia 22-8. Cannock and Warrington will meet twice in two weeks as they contest two finals. Before the trip to the Copper Box on 21 May they will play in the league finals at Powerleague Trafford on 13 May. Carshalton joined Hawks in the boys’ under-18 final after beating Wolves. Make sure you book your ticket for the finals and go watch the most exciting, high scoring, action packed, contact, team sport. Under-18s go free, while there is an early-bird offer of £2.50 per person for those aged 18 and over available until 5 May 2017. To get your tickets please click here. Be Part of the excitement.